The 2018 Chicago Bears fell to the New York Giants on Sunday in what can only be described as a bizarre game. There were trick plays, a backup quarterback, a defensive touchdown and even an onside kick. The Giants came out victorious in the end though, 30-27. The Bears entered Sunday without their starting quarterback Mitch Trubisky for the second straight week, which meant that backup Chase Daniel, now with a game of film, was the man for the second straight week. He struggled early but was able to keep it close, largely thanks to wide receiver Allen Robinson and running back Tarik Cohen. 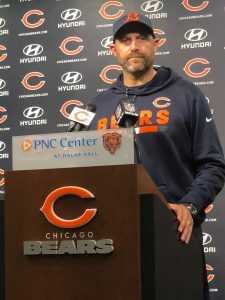 Nagy’s offense doesn’t work with Daniel the way it does with Trubisky. Nagy can rely on Trubisky’s feet to extend plays and be a threat in the run game, and his arm strength and aggressiveness can be relied upon to take deep shots. The scrambling and deep-ball threats are enough to change a defense’s coverages and playstyle; Daniel’s limited ability makes defensive backs comfortable with bullying players at the line of scrimmage since a deep ball isn’t likely to come. They can also play tight man coverage because they don’t have to keep their eyes in the backfield in case the quarterback takes off running. Anthony Miller and Taylor Gabriel, both under six-feet, were essentially non-factors outside of the screen game because they can’t win physical battles like Robinson can. This meant Nagy had to get the ball to his most physically imposing receiver, Allen Robinson, and his shiftiest playmaker, Tarik Cohen. “We just had a good scheme drawn up against their defense,” Cohen said. “Coach Nagy and Coach (Mark) Helfrich were calling the plays up for me, ones that were designed to go to me. Chase was making a lot of scrimmage calls just to get me open, so whenever he did that, it was my job to step up and make those catches. Robinson’s size and catch-radius make him a good target regardless of how much separation he has, and that ability was put on full display Sunday when he had 79 yards and a handful of impressive and key receptions. Robinson was targeted early and often because of his ability to make plays like the one above. He can make any throw easier, not just because of his massive 6’3, 211-pound frame, but also because of how he uses that build to his fullest advantage. Cohen, being 5’6, is obviously nowhere near the same physical level as Robinson, but Nagy managed to bring out his biggest strengths. He had a matchup advantage against Landon Collins because of his quickness, and Nagy exploited this fact by going to Cohen in those favorable matchups. Cohen’s quickness allowed him to separate from players twice his size, and it left him open throughout Sunday. Cohen had 186 total yards, 156 of which came through the air. He also threw the game-tying touchdown that sent it into overtime Nagy was forced into a difficult spot without his starter, but he demonstrated he can still put forth a productive offense without his quarterback of choice. Cohen and Robinson are two huge reasons why that was possible. Right out the gate, it was clear this was not going to be a typical football game. 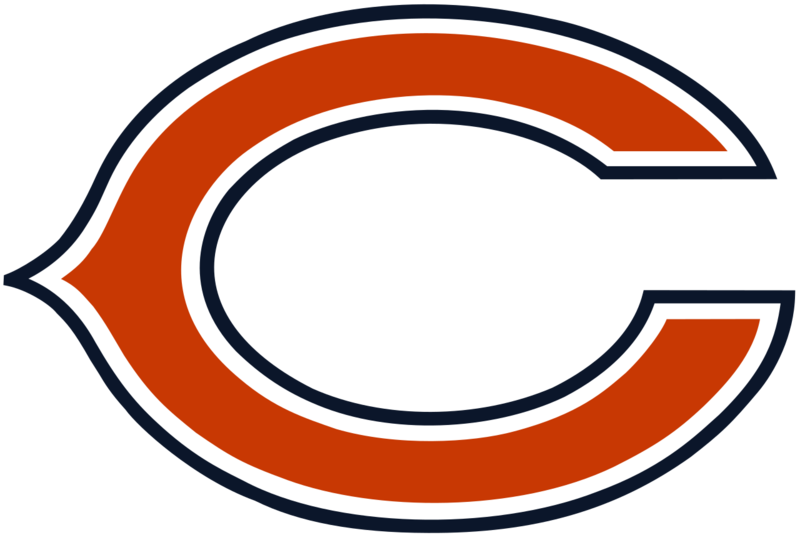 The Bears opened the game with a pick-six on their first play from scrimmage by Giants linebacker Alec Ogletree. Chase Daniel took time to settle in, and coach Matt Nagy adapted to that by feeding Jordan Howard on six of seven run-calls on their first scoring drive. The weirdness wasn’t Nagy leaning on the run game, though it’s definitely out of character for his offensive philosophy. No, the weirdness truly began when Bears defensive end Akiem Hicks was handed the ball from the one to score a touchdown at the end of the first half. The Giants scored on their opening second-half drive with… a touchdown pass from Odell Beckham Jr. of course. The Bears’ secondary came up to stop the jet sweep Beckham Jr. was on and left Sterling Shepard wide open for an easy touchdown. 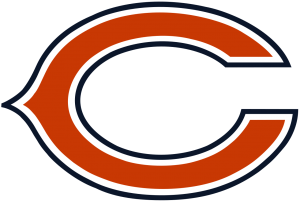 The scoring would cease until late in the game when the Bears kicked a field goal with under two minutes left to bring themselves within seven. All hope seemed lost until Beckham Jr. let the roll by him on the onside kick recovered by Daniel Brown. The Bears marched down to the goal line yard line where they found Anthony Miller open in the end zone with time expiring. Who threw it? Tarik Cohen. The Bears went on to lose in overtime. This was a game they probably should have won, especially given how ineffective Eli Manning was (Stats). The Bears didn’t do many favors for themselves, turning the ball over three times. The run game slowed down after an impressive first half, and with Daniel’s struggles, Nagy had to get creative. Tarik Cohen and Anthony Miller are the two toughest matchups he has, and he went to them often. He will probably regret he took to end the first half that allowed New York to run a play that set up a field goal, but his game plan showed a coach willing to adapt to what is on the field. Instead of forcing what he wanted to do, he let his two best playmakers, Robinson and Cohen, do their thing. The Bears lost, but they lost no footing in their division, as everyone else in the NFC North lost. Trubisky’s presence will make a big difference in the flexibility of the Bears’, and we will see just how much so come Sunday night.